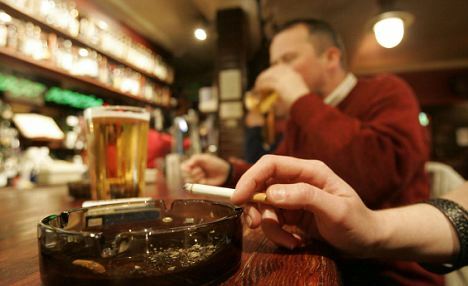 Fresh facts have emerged that smoker of cigarette may have to part with money to buy a stick of puff, as tobacco companies around the world are facing difficult times due to shrinking sales revenue. Market analysts said this development is attributable to the recent weakness witnessed in Emerging Markets (EM) Foreign Exchange ( FX) rates and the resultant strength in company reporting currencies, such as the dollar and sterling. International tobacco companies have large exposures to emerging market, which provides the bulk of tobacco company revenue and growth. This, they said, had led rating agencies to downgrade 2014 Financial Year Earnings Per Share across tobacco coverage universe, thereby raising concerns about the future of the industry . “Substantial recent FX weakness in key tobacco markets, such as Russia, Brazil, Canada, Australia, South Africa and Indonesia, is likely to place additional pressure on the earnings growth of Philip Morris International (PMI), British American Tobacco (BAT) and Imperial Tobacco (IMT) in 2014. “Various factors, such as the unwinding of the US bond-buying programme, a recovery in developed market (DM) economies and concerns about weakening trends in the Chinese economy we think, are behind the weakness in EM and commodity-exposed currencies,” analysts at an international investment research company, Renaissance Capital (RenCap), revealed. Nigerian Tribune checks revealed that the cost of cigarettes had not increased in Lagos, as most traders interviewed said the prices had not changed while others said they still had old stocks. Market analysts said the volume of cigarettes sold around the world was declining, and for some tobacco investors, this was worrying because as the price of the available products was going up, demand for cigarettes would be decreasing and sales would continue to shrink. According to RenCap, “tobacco share prices have declined about 10 per cent over the past 12 months, negatively affected by reduced earnings estimates, regulatory concerns and sector rotation out of defensives. “Consequently, forward Price Earning (P/E) multiples have declined to about 13.3x, from a peak of 15.4x in May 2013, while Price-to-Book (P/B) ratios have also contracted substantially,” the analysts stated. P/B ratio is a financial ratio used to compare a company’s current market price to its book value. There has been rising concern that normal cigarettes release toxins through combustion and even faces rising taxes, public-smoking bans and other restrictions that affect its sales. Thus the big three tobacco companies are switching to a new product known as e-cigarettes which they perceive as less harmful than regular cigarettes. Philip Morris International is the world’s largest publicly traded manufacturer and seller of cigarettes and other tobacco products, with sales in approximately 180 countries. PM owns many major brands, including Marlboro, Parliament, L&M and Chesterfield.